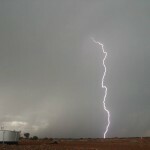 Research finds mining towns are more dangerous (0) September 15, 2015 Mining towns in WA have a higher risk of violent attacks than regional towns with diverse industry, a new study has shown. 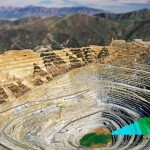 Anglo American sells two Chile copper mines (0) September 15, 2015 Anglo American has completed the sale of two copper mines in Chile in a deal worth $US300 million. 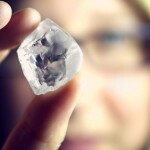 Gem Diamonds sells massive white diamond (0) September 15, 2015 Gem Diamonds has sold its 357 carat diamond for US$19.3 million. 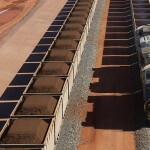 Aboriginal-owned mine gains infrastructure access (0) September 14, 2015 Australia will soon see its first indigenous-owned iron ore mine, thanks to a deal struck with Fortescue Metals Group. 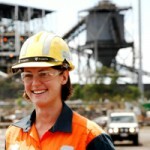 Coal mine rehab scholarship open to students (0) September 14, 2015 Queensland Resources Council has invited students of ecological management and rehabilitation to apply for two scholarships worth up to $35,000 per year. Telehandler tips in Super Pit (0) September 14, 2015 A worker has been injured at the Superpit when a telehandler tipped over on Friday afternoon last week. 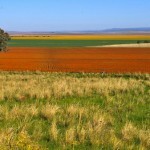 SA’s new copper plan pushes ahead (0) September 14, 2015 South Australia’s government will seek input from stakeholders about their new copper strategy, following the launch of a consultation directions paper last week. 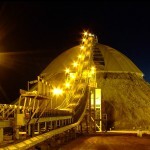 Newmont voted world’s most sustainable miner (0) September 14, 2015 Newmont has made the top position on the Dow Jones Sustainability World Index (DJSI World), marking nearly a decade in the index. 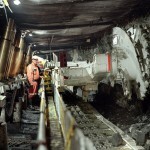 Production restarts at Cadia East (0) September 11, 2015 In the wake of the death of a mine worker at the Cadia Ridgeway mine, Newcrest has announced a restart to production. 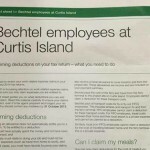 Curtis Island workers face tax audits (0) September 11, 2015 Construction workers on Curtis Island LNG projects may face tax audits after concerns were raised about incorrect claims on tax returns. 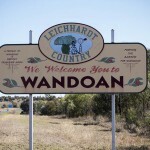 My Space/Our Place workshops capture beauty of regional Queensland (0) September 11, 2015 A digital photography workshop being run by Glencore and the Queensland Art Gallery is allowing students in Central Queensland to capture stunning images of their towns. 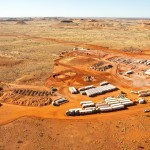 WA resources worth nearly $100 billion (0) September 11, 2015 New figures from the WA Department of Mines and Petroleum have highlighted the value of the state’s resources industry. 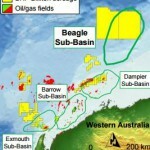 BHP to drill NW shelf in 2018 (0) September 11, 2015 BHP has announced a renewed focus on “value over volume” in their petroleum business. 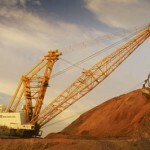 Iron ore rally will be short-lived (0) September 11, 2015 Iron is trading at a two-month high at close to $US60 per tonne, however most analysts predict the upswing will not last. 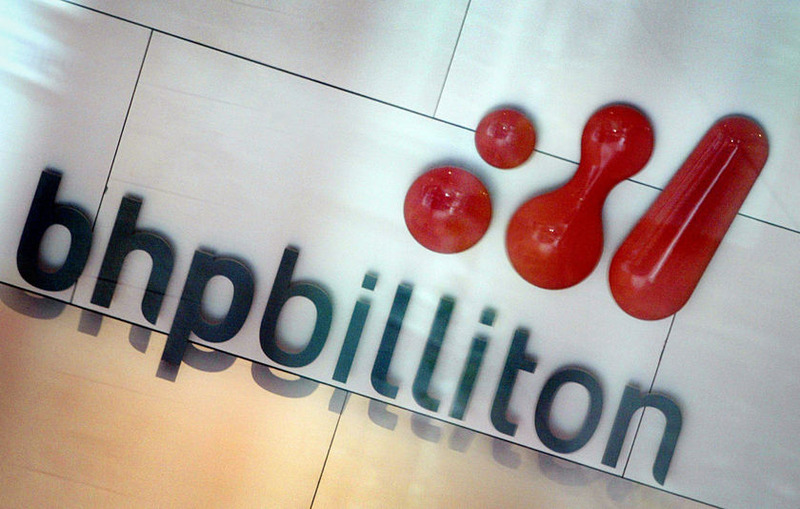 BHP joins Canadian carbon capture venture (0) September 11, 2015 A new partnership between BHP Billiton and a Canadian electricity provider will see the implementation of a world first full chain power carbon capture and storage (CCS) project. 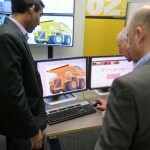 Remote operations centre opens in Adelaide (0) September 11, 2015 IPACS Australia has opened a new mining remote monitoring operations centre in South Australia. 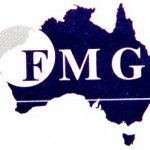 FMG not in a hurry to sell a stake in its mines (0) September 10, 2015 Fortescue Metals Group has been approached by two parties interested in buying a stake in its mining operations, but the company is not in a rush to sell. 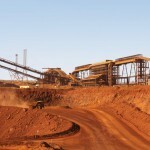 WA nickel mine cuts jobs (0) September 10, 2015 Independence Group has blamed the low nickel price for job cuts at its Long mine near Kalgoorlie. 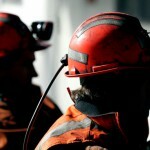 CME WA releases mining Mental Health Blueprint (0) September 10, 2015 The Chamber of Minerals and Energy of Western Australia has released a Mental Health Blueprint for WA miners. 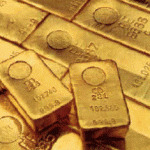 Is gold’s recovery over? 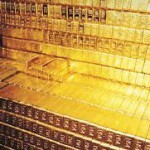 (0) September 10, 2015 A likely US interest rate hike has smashed the gold price, pushing it close to the US$1100 psychological barrier. 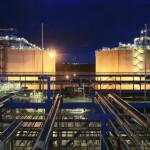 Disapproval over local redundancies at Queensland LNG projects (0) September 9, 2015 Union representatives in Gladstone have expressed their disapproval at local workers being made redundant before FIFO staff at the Curtis Island LNG projects. SA nuclear commission starts today (0) September 9, 2015 The first of South Australia’s public hearings of the Nuclear Fuel Cycle Royal Commission will begin today. 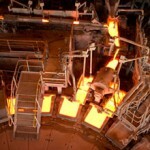 Copper price jumps (0) September 9, 2015 The copper price has recorded a 6 per cent rise, sealing a seven week high for the metal. 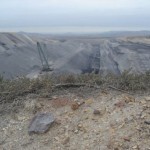 Shenhua called to revisit environmental effects of Watermark coal mine (0) September 9, 2015 Chinese coal miner Shenhua has failed to do its homework on the effects of groundwater drawdown at the proposed Watermark mine, according to a researcher from University of Western Sydney. 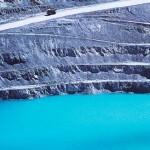 Quality without the costs (0) September 9, 2015 Mining is undergoing one of the greatest challenges it has faced since the global financial crisis. 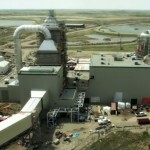 Unity Mining pulls on-site cyanide plans (0) September 9, 2015 Unity Mining has pulled its application for cyanide processing of concentrate at its Dargues gold mine. 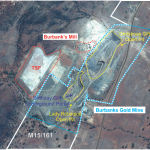 Mining to begin at Kidman Resources’ Burbanks gold project (0) September 8, 2015 Mining is set to begin immediately at Kidman Resources’ Burbanks gold mine after the project received planning approval. 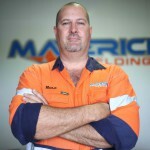 Details emerge about the death of a mine worker at Newcrest’s Cadia Ridgeway gold mine (0) September 8, 2015 A father-of-two who died at Newcrest’s Cadia Ridgeway gold mine on Sunday was operating a modified shotcrete machine. 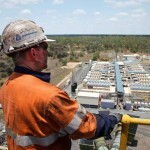 Suspicion over Queensland job satisfaction survey (0) September 8, 2015 The results of a survey into mining employee satisfaction in Queensland have been met with suspicion by unions. 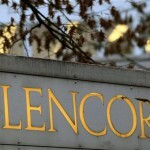 Glencore to close mines in order to reduce debt (0) September 8, 2015 Glencore has moved to strengthen its balance sheet by announcing it will cut dividends, suspend operations at several mines, and undertake $US2.5 billion in capital raising. 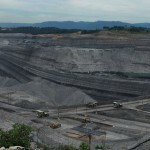 Coal industry’s positive traits in the spotlight with new ad campaign (0) September 7, 2015 The Minerals Council of Australia has launched an advertising campaign aimed at highlighting the positive aspects of the coal mining industry. 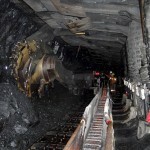 Production resumes at Newlands coal mine after gas evacuation (0) September 7, 2015 Underground mine workers were evacuated from Glencore’s Newlands coal mine last week due to elevated levels of gas. 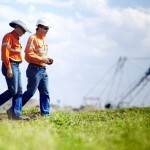 Survey shows satisfaction of QLD miners (0) September 7, 2015 A survey of resource industry and mining FIFO workers in Queensland has showed high levels of satisfaction with workplace accommodation and transport arrangements. 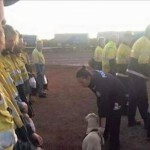 Worker injured at Fortescue mine (0) September 7, 2015 A contractor has been injured at Fortescue’s Cloudbreak iron ore mine. 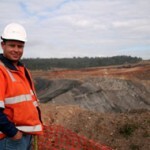 Mine worker dies at Newcrest’s Ridgeway gold mine (0) September 7, 2015 A 28-year-old mine worker has died at Newcrest’s Cadia Ridgeway gold mine, located near Orange in New South Wales. 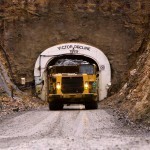 Gold miner killed in truck roll over (0) September 7, 2015 A worker has died at Hanking Gold’s mine following a truck rollover yesterday. 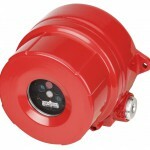 Count on fire detection, not rebuilding approval (0) September 7, 2015 Who would want to live near a company with a sub-par safety record, knowing that there’s a chance the operator might add to its history of mishaps? 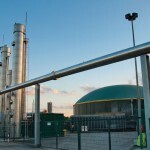 Single point grease lubricators are saving heavy industry time and money (0) September 7, 2015 The latest bearing industry forecasts predict worldwide sales of bearings will rise to $US100 billion in 2018, highlighting the importance of the lubricator in industrial applications. 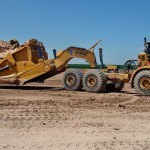 World’s largest pull scraper launched (0) September 7, 2015 K-Tec Earthmovers has released the 1263 ADT, which it calls the world’s largest earthmoving scraper. 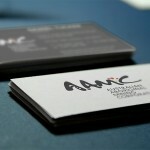 Imagine Intelligent Materials and MRL Corporation announce graphene deal (0) September 4, 2015 Imagine Intelligent Materials has executed a sales and certification deal with ASX-listed MRL Corporation for graphite and graphene products. 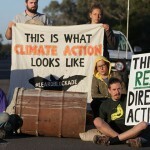 Supreme Court rejects anti-GVK appeal (0) September 4, 2015 An environmental appeal against Gina Rinehart’s GVK-Hancock Alpha coal mine has been quashed in the Supreme Court. 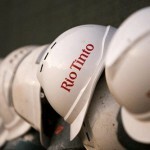 Rio Tinto trashes changes to the NSW mining policy (0) September 4, 2015 Rio Tinto has labelled changes to the NSW Environmental Planning policy as “ill-conceived”, stating it creates further uncertainty for Mount Thorley Warkworth employees. 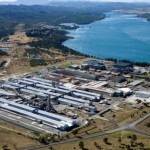 Bell Bay smelter clocks up 60 years (0) September 4, 2015 Tasmania’s Bell Bay smelter, reportedly the oldest aluminium smelter in the southern hemisphere, is celebrating its 60th anniversary. 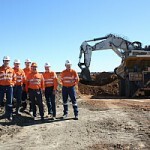 Hughes Drilling win BMA contract (1) September 4, 2015 Hughes Drilling has been subcontracted by Downer to provide overburden and coal drilling services at the Blackwater mine. 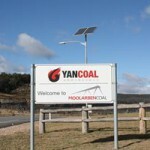 Moolarben coal mine gets lease approvals (0) September 4, 2015 Yancoal’s Moolarben coal mine has been granted a mining lease for its Stage Two project. 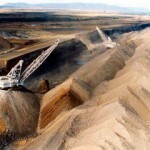 Jobs cut at Anglo American coal mine (0) September 4, 2015 More than 80 full time workers have been cut from Anglo American’s Capcoal mine. 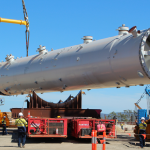 EWP accident at Ichthys construction project (0) September 3, 2015 A worker has been injured this morning in an EWP accident at the Ichthys onshore project near Darwin. 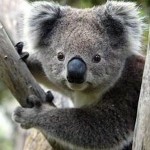 Koalas could kill the development of Shenhua’s Watermark coal mine (0) September 3, 2015 Koalas could stop Shenua’s $1.2 billion Watermark coal mine from being developed as a case begins in the NSW Land and Environment Court. 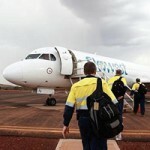 Redwater drug searches continue at Pilbara mine sites (0) September 3, 2015 The third phase of Pilbara drug investigation operation Operation Redwater rolled out earlier this week, with nearly 1200 Roy Hill and BHP workers searched. 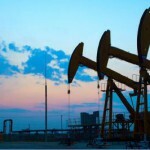 Coal and gas industry needs to get better at PR, expert says (0) September 3, 2015 A leading PR firm has called on the coal and gas industries to fight misinformation spread by green activist groups with a broad social media campaign. 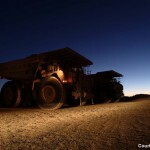 Has the mining downturn finished? 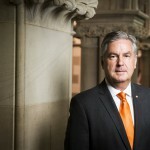 (3) September 3, 2015 WA premier Colin Barnett has stated that mining has reached the bottom of the trough, but that the future remains difficult. 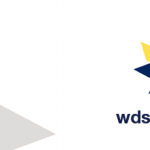 WDS enters administration (2) September 3, 2015 Contractor WDS Limited has announced it will enter voluntary administration. 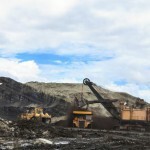 BMA say no forced redundancies at Blackwater (0) September 3, 2015 No forced redundancies will result from structural staff changes at the Blackwater coal mine, according to operator BHP Billiton Mitsubishi Alliance (BMA). 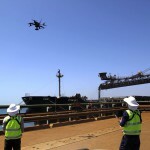 Rio Tinto increases use of drones (5) September 2, 2015 Yesterday Rio Tinto aviation specialist Kevan Reeve spoke at the Perth SGS Symposium on the company’s use of Unmanned Aerial Vehicles (UAV) in operations. 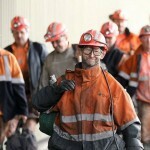 80 jobs lost from Wollongong Coal (0) September 2, 2015 Wollongong mine workers will be mourning the loss of another coal mine as the Russell Vale colliery enters a period of suspension. 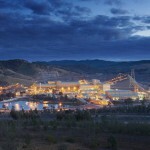 Whitehaven Coal’s Maules Creek mine officially opened (0) September 2, 2015 Whitehaven Coal’s $767 million Maules Creek mine has been officially opened by Federal Minister for Industry and Science, Ian MacFarlane. 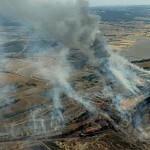 Victorian Health department accused of Morwell coal fire cover-up (0) September 2, 2015 Residents of the Victorian town of Morwell have accused the state Department of Health of covering up the health impacts of the Hazelwood mine fire. 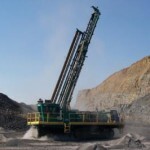 Australia and India create new coal technology centre (0) September 2, 2015 Curtin University and the Indian School of Mines will partner to establish the Australia-India Joint Research Centre for Coal and Energy Technology. 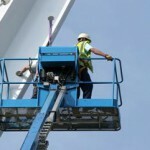 Empowering employees to be more financially-fit (0) September 2, 2015 Resources sector wellbeing programs have long focused on health and safety issues that arise from physical risks, but the financial well-being of workers has not been widely addressed. HunterNet sign MoU with China at AIMEX (0) September 1, 2015 A regional MoU has been signed between Hunternet and Chinese region Taian’s Chamber of Commerce. 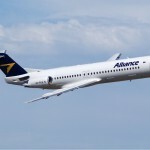 Atlas Iron saves $1 million a year with executive reshuffle (0) September 1, 2015 Atlas Iron is set to save itself $1 million per year by reducing the number of senior executives from five to three. 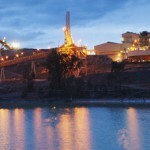 Bradken ends merger talks (2) September 1, 2015 Mining services group Bradken has announced it will not continue merger discussions with Chilean industrial group Sigdo Koppers. 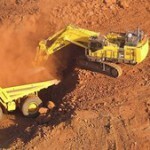 Exploration spending lowest since GFC (23) September 1, 2015 Mineral exploration spending in Australia has hit a six year low, dropping lower than the Global Financial Crisis levels of 2009. 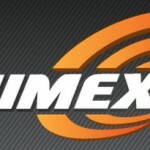 AIMEX starts today (0) September 1, 2015 The first day of AIMEX has begun, with exhibitors showcasing mining technology, services, and heavy equipment from around the world. 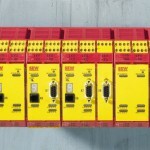 Handy Unit Conversion for Drive Technologies comes to mobile devices (0) September 1, 2015 Do you need a handy pocket unit converter to convert all the different types of units associated with your operation and selection Power Transmission equipment? 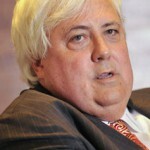 Palmer to sue CITIC for $10 billion (0) August 31, 2015 Clive Palmer is taking CITIC to task, seeking $10 billion in damages in the WA Supreme Court. 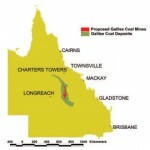 Queensland ALP calls for pragmatic approach to coal (0) August 31, 2015 Queensland ALP government representatives have called on environmentalists within the party to be pragmatic about the state coal mining industry. 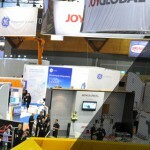 BPEQ engineers partnership with QUT (0) August 31, 2015 The Board of Professional Engineers of Queensland has partnered with the Queensland University of Technology. 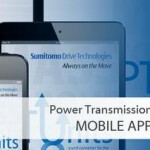 Huge writedown for Macmahon in full year results (0) August 31, 2015 Macmahon Holdings has undergone restructuring in order to cover for nearly $220 million worth of loss-making impairments in FY15. 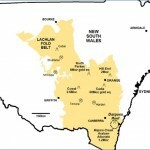 New NSW mining policy launches (0) August 31, 2015 The newly developed NSW mining policy will be implemented Wednesday. 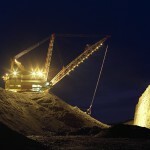 Subzero win Glencore coal rehab contract (0) August 31, 2015 Subzero has won a contract for rehabilitation works at Glencore’s Bulga coal mine. 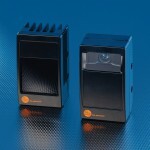 Atlas Copco launches new light tower (962) August 31, 2015 Atlas Copco has unveiled a new plug and play light tower, the QLB 02. 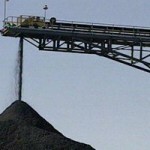 New Acland coal draft approval fuels further controversy (0) August 31, 2015 The New Acland coal mine expansion has received a draft authority from the Queensland government, but not without ongoing controversy. 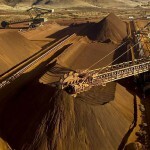 Iron ore price rises (0) August 31, 2015 The iron ore price rose on Friday, fighting against the current market malaise. 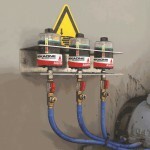 Austin Engineering signs Hunter Valley joint venture (0) August 31, 2015 Austin Engineering has signed a joint venture with plant repair and maintenance company BK Plant Repairs and Maintenance. 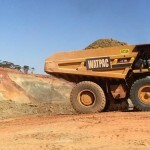 Watpac wins $80 million gold mine contract (0) August 28, 2015 Watpac has won an $80 million contract to deliver mining services at Hanking Gold’s new Axehandle mine. 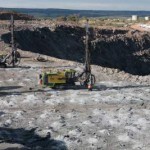 Talga triples Swedish graphite resources (18) August 28, 2015 Perth-based graphite explorer Talga Resources has announced their maiden JORC mineral resource in Sweden has tripled their prospect . 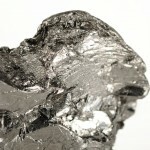 New processing method for platinum discovered (0) August 27, 2015 A new cheaper method for recovering low grade platinum metals has been found. 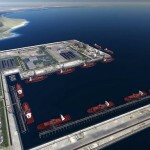 Newcastle Council to divest from fossil fuels (0) August 27, 2015 Newcastle Council has stunned the heavy industry on which the city was founded by announcing it will divest from fossil fuels. 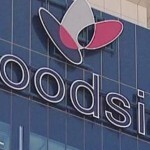 Woodside investing heavily in artificial intelligence (0) August 27, 2015 In an effort to improve production in tough market conditions, Woodside Petroleum is investing heavily in artificial intelligence. Michelin launch new loader tyres (0) August 27, 2015 Michelin has developed new loader tyres with improved casing protection. 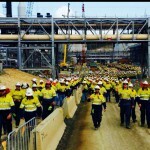 Ausenco win BMA EPC contract (0) August 27, 2015 Ausneco has been nominated as preferred contractor for EPC works at one of BMA’s coal mines. 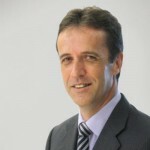 Orica changes its operating model (23) August 27, 2015 Orica has carried out a shakeup of the business, dramatically realigning its business model. 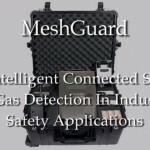 3M releases new welding safety solutions (0) August 27, 2015 AWS Global announces the launch of a new solution from 3M Speedglas designed to provide comprehensive head, eye and face protection to welders. 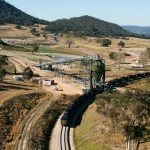 Glencore and Bloomfield acquire Vale’s Integra coal mine (0) August 26, 2015 Glencore and the Bloomfield Group are set to acquire Vale’s Integra coal complex in the Hunter Valley. 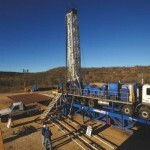 Ipswich council looks to ban new mines and CSG projects (0) August 26, 2015 Ipswich City Council has declared it will block plans to develop any new mine, mining extension, or coal seam gas project in the city. 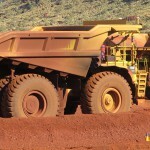 Autonomous truck and water cart collide on site UPDATE (3) August 26, 2015 An autonomous haul truck and a manned water cart have collided on a West Australian BHP mine site. 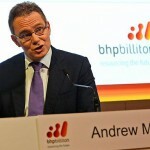 BHP Billiton posts a hefty profit fall (0) August 26, 2015 BHP Billiton’s underlying profit has fallen by 52 per cent to $US6.4 billion. 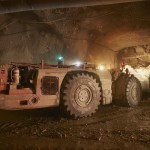 Maptek launches new underground mine scanners (0) August 26, 2015 Maptek has released new laser scanners for underground mines. 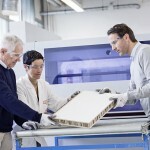 New fibre optics technology lab established (0) August 26, 2015 The University of Queensland, in partnership with CRCMining, has opened a new Fibre Optic Sensing Applications Laboratory (FOSAL). 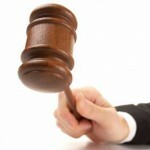 Union rep sacked for taking sick leave (0) August 25, 2015 A local CFMEU president who was sacked for taking two sick days off from his job at the Dawson coal mine has appealed a Federal Court decision. 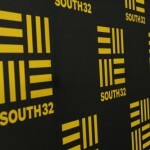 South32 sees continued downward trend (0) August 25, 2015 South32 shares have slumped following the release of disappointing results. 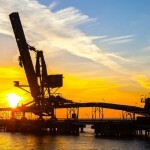 Serious injury data revealed for WA in 2013 (0) August 25, 2015 Injury levels during the final months of Western Australia’s mining boom were at their lowest rate for more than a decade, according to a new government report. 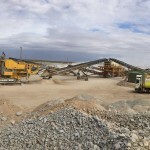 Ausenco wins gold processing facility contract (0) August 25, 2015 Ausenco has won a contract to provide EPCM services for a gold processing facility in North Africa. 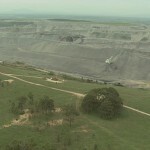 Drayton South gets state approval (0) August 25, 2015 Anglo American’s Drayton South project has been given the greenlight by the NSW Department of Planning and Environment. 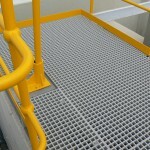 Mine ignores energy drink drug test claims (0) August 25, 2015 A West Australian energy drink maker claims its key product was wrongly blamed by a worker who failed a drug test for methamphetamine at Glencore’s Murrin Murrin nickel cobalt mine. 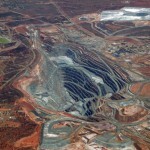 Exploration doldrums affects Kalgoorlie council budget (0) August 24, 2015 The rapid decrease in the number of mining tenements around Kalgoorlie has left the local council with a massive budget shortfall. 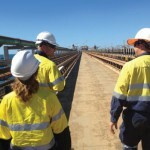 Rewarding safety milestones a recipe for disaster (0) August 24, 2015 With four deaths in Queensland coal mines in the past year, and many more nationally, an industrial psychologist has suggested that our pride in safety management is partially to blame. 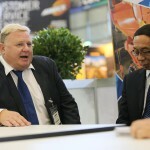 Red Mountain declares high grade gold samples (0) August 24, 2015 Surface rock chips are pointing the way to some exciting new drill targets in the Philippines for West Australian gold miner Red Mountain. 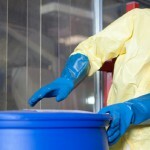 Are You Sure Your Manufacturing Machinery is Compliant? 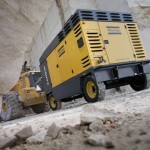 (0) August 24, 2015 The crux of businesses operating within the mining, manufacturing and process industries rely heavily on the functionality, reliability and safety of the equipment and machinery in use. 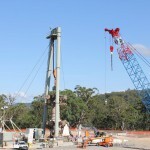 Abergeldie delivers the deepest blind bored shaft in Australia (0) August 24, 2015 Abergeldie has recently completed construction of the deepest blind bored vent shaft yet built in Australia. 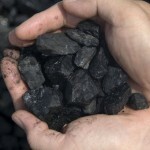 Coal decline bad for investors (5) August 21, 2015 Structural decline in seaborne thermal coal may make the commodity a bad export investment choice, if companies continue to sell their operations. 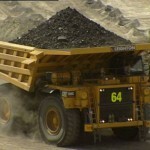 Union anger over Blackwater redundancies (3) August 21, 2015 Blackwater coal mine employees are up in arms over redundancies announced this week which will see full time staff replaced with contract workers from Downer EDI. 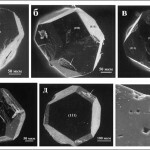 New vein of rare mineral discovered (0) August 21, 2015 A rare mineral has been rediscovered in the UK. 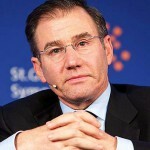 Santos CEO steps down (0) August 21, 2015 Santos head David Knox has announced he will resign from the leadership of the energy company. 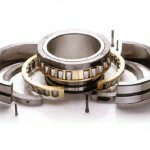 Cost cutting when it comes to wear parts can result in massive costs, for small savings (0) August 21, 2015 According to Ernst & Young, productivity is in the top two rankings for business risks facing mining companies in 2015-2016. 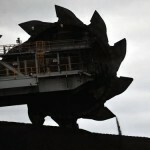 Abbot Point coal terminal releases EIS (0) August 21, 2015 The Abbot Point coal port project has taken a leap forward with the release of its draft Environmental Impact Statement. 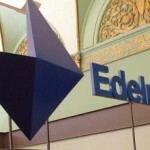 Another miner turns away from mining (0) August 20, 2015 With miners feeling the sting from weak commodities prices the world over, one is turning to a new avenue to make a profit: eggs. 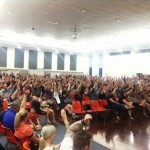 PAC to hold third public hearing on Mount Thorley Warkworth expansion (0) August 20, 2015 Planning Minister Rob Stokes has ordered a third public hearing on plans to extend Rio Tinto’s Mount Thorley Warkworth mine.